We have already seen a number of leaked smartphones that are reported to use NVIDIA’s new quad core Tegra 3 processor, and now NVIDIA has sent out its press invite for Mobile World Congress 2012. 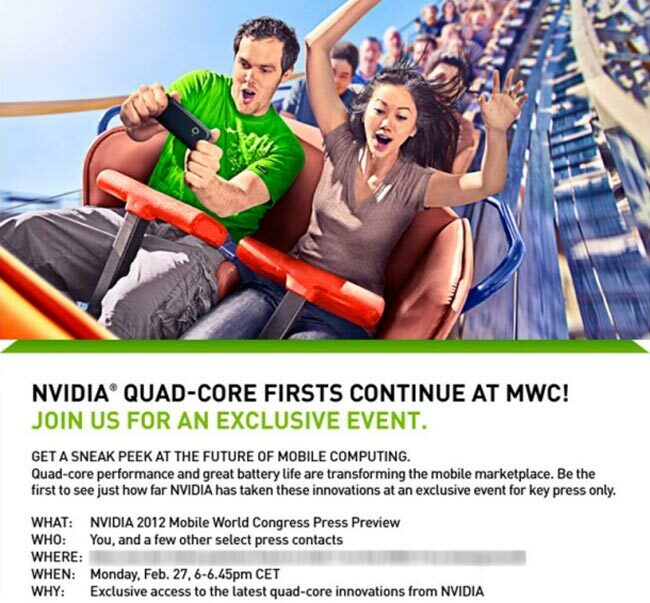 The invite hints that we will see some ‘NVIDIA quad core firsts’ at MWC 2012, and as we have already seen some tablets we suspect they mean smartphones. 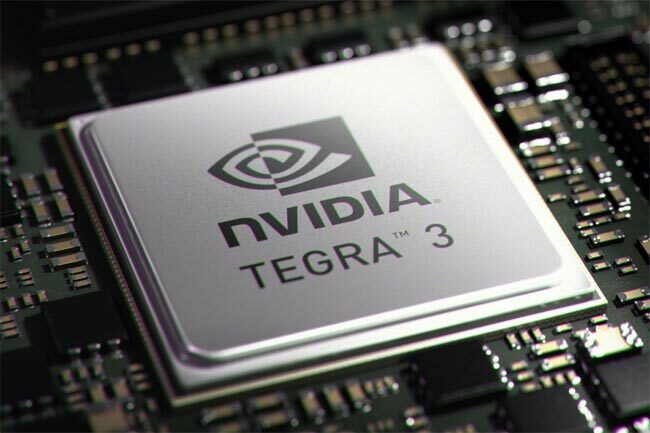 Some of the rumored devices that may use the new NVIDIA Tegra 3 processor include the LG X3, the Asus PadFone, as well as a couple of rumored devices from HTC and other manufacturers. It will be interesting to see what the first quad core NVIDIA Tegra 3 smartphones are like, and we suspect we will see more than just a few unveiled at MWC 2012 later this month. As soon as we get some more information on what manufacturers will be launching Tegra 3 smartphones at MWC we will let you guys know.